On November 18, 1906, Chinese ornithologist Tso-hsin Cheng [Zheng Zuoxin] was born. As a boy, he learned to identify the birds in the Fujian forests by their calls. Travelling to the United States, Cheng completed doctoral studies at University of Michigan before taking a post at Fujian Christian University. There as professor of biology, he helped found the China Zoological Society. 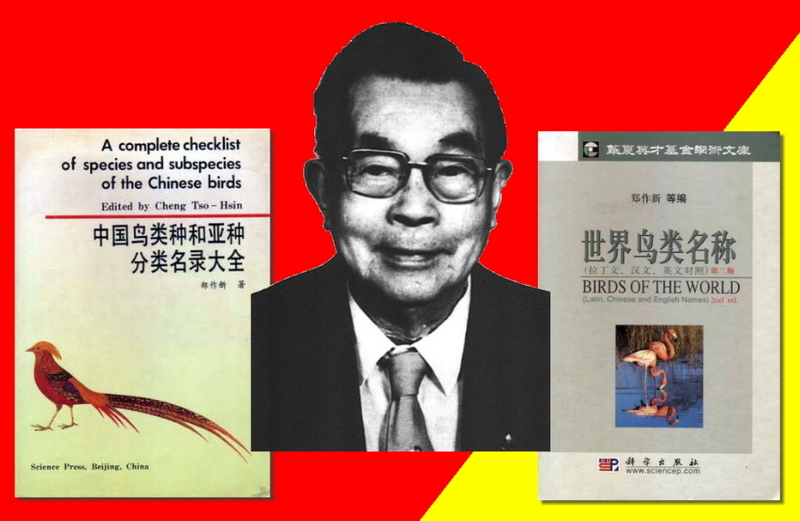 After a year as a visiting professor to the United States, Cheng returned to FCU where he published the first Checklist of Chinese Birds in Chinese. After a move to Beijing as curator of avian specimens, Academia Sinica, Cheng founded the Beijing Natural History Museum. Over his career, he held several concurrent posts, advancing the importance of zoological studies and ornithological research in particular. Ornithologist Tso-hsin Cheng with two of his many publications. His was a reasoned voice for bird conservation in times of agricultural crisis and, with colleagues, illustrated how birds were beneficial to controlling insect populations. Cheng frequently represented both his country and his discipline at various international conferences and delegations. He helped lead his country to the international protection of migratory birds. Throughout his six decades of academic duties and organizational responsibilities Cheng continued his field work. He visited remote areas and described previously unreported and new species. He wrote hundreds of scientific papers and popular articles. He published over two dozen books, some translated into English. He launched a proposed 14-volume project on the birds of China, Fauna Sinica, Aves, and wrote the first volumes. Cheng’s legacy to ornithology and conservation in China lives on in his former students, now professors and researchers around the world. The China Ornithological Society continues as a non-governmental and international organization that gives a grant, the Cheng Ornithological Award, to Chinese researchers under age 35 who have contributed in a significant way to ornithology. One #SpeciesAtRisk is the Chinese or Scaly-sided Merganser [Endangered] and a subject of #BirdConservation in China. This entry was posted in On This Day and tagged #VisionChanger, birds of China, November 18, On This Day, ornithology, The Roberta Bondar Foundation, Tso-hsin Cheng, Vision-Changer, Zheng Zuoxin. Bookmark the permalink.